Everyone should read this charming, brilliant novel about growing up, fitting in, standing out, and the love that makes life worthwhile. It’s a tale of empathy and kindness that cuts through the space between people, and I loved it wholeheartedly. August is 10 years old, and due to a combination of rare conditions was born with a facial deformity. He’s never been to school before, and the novel begins with the prospect of him starting the 5th grade at a local school. He experiences all the usual struggles of a 10 year old, like making friends, dealing with bullying, and navigating relationships with his sister and parents, but they are all magnified through the lens of looking different. My favourite thing about Wonder is that it doesn’t diminish the challenges of looking different, it doesn’t sugar-coat the direct and indirect cruelty people like August experience every day. And yet it is not a sad book, it is ultimately uplifting. It draws together so many themes of friendship and love with gentle care, making it an important read for all ages. Wonder also includes some terrific adult characters. Though they don’t get their own chapters, August’s parents are very much present within this novel, something that so many YA novels lack. They are real people, with their own lives and history, their own pain and flaws, and they exist beyond the orbit of August’s perspective. I think this is so important for young readers, to see examples of positive relationships with parents. They are not a perfect happy family with no struggles, but they do try and communicate, which I think gives this book much of its warmth. When the perspective first shifted away from August to his sister Via I was a bit thrown. I didn’t expect it to be a multiple perspective novel. Once I got over that, and back into the rhythm of the story I was glad for it. August is, as Via said, the Sun around which this book orbits, but all the other perspectives add layers to his story rather than taking away from it. The end result is a story with surprisingly rich characters for just over 300 pages. 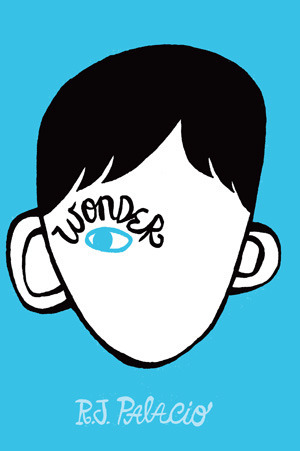 Wonder is a story about love, and I loved it right back. It reminds me of the sensitivity and heartbreaking hope of The Curious Incident of the Dog in the Night-Time has, but Wonder infuses that with a gentle kindness that will warm even the coldest heart. The novel is considered ‘middle-grade’ and would be suitable for readers aged 10 and up. But it is one of those rare novels with enough depth that it should not be restricted to young readers alone.